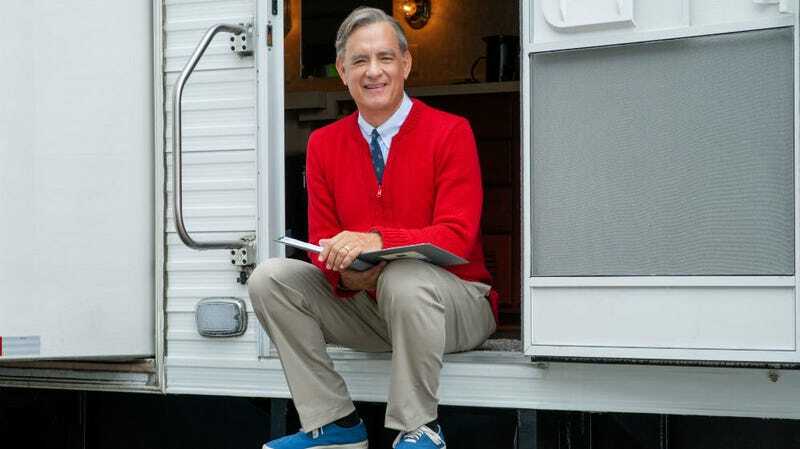 Tom Hanks’ next movie may be about Mister Rogers, but he could soon be playing another iconic character. Collider was first to report the news that, yes, Tom Hanks is “being eyed” to potentially play the old wood carver whose creation becomes a real boy in Disney’s live-action Pinocchio remake, which the studio has been trying to get off the ground since 2015. The Hollywood Reporter then amended that status to “early talks.” The difference is small and mostly insignificant at this point—but they both suggest the studio expressed interest, Hanks expressed interest back, and now things move on from here. So it’s not a done deal, but the fact it’s being discussed at all is noteworthy. Paul King, the director behind the Paddington films, is currently attached to direct, with names like Jack Thorne (Wonder), Chris Weitz (Rogue One), and Simon Farnaby (Paddington 2) all having some hand in the script. Word is Pinocchio could start filming next year, potentially making it the next on Disney’s list of big budget, live-action remakes to go in front of the cameras. It currently has Mulan in production, Maleficent 2 in the can, and Aladdin and The Lion King out next year, all following the successes of Beauty and the Beast, The Jungle Book, Cinderella, and others. Hollywood has been trying to bring Pinocchio back to the big screen for years, with the latest iteration, written and directed by Guillermo del Toro, coming to Netflix. That’s a stop-motion film, though, so there’s no indication which version would, or could, be released first. Del Toro’s involvement makes that version a very big deal, since he’s coming off the biggest success of his career. And yet, the live-action version could potentially star Tom Hanks. If Hanks does get cast as Geppetto, that instantly makes Disney’s Pinocchio a real crown jewel in Disney’s already blingy upcoming slate.